This beautiful fabric bed features a simplistic, modern, contemporary design. The in trend fabric material gives the bed a higher quality which makes the bed look glamorous and a gives it a longer life period. 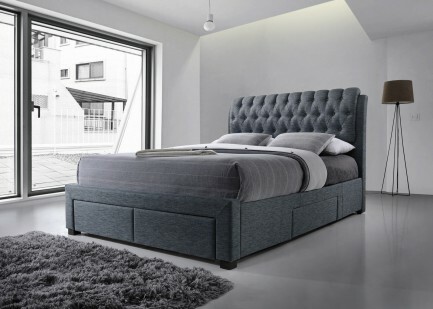 The quality of the Fabric Bed gives you a welcoming feel and gives it the edge which makes the bedroom look very stylish and elegant, it is sure to add a touch of class to your bedroom. Comfort sprung mattress- An attractive micro quilted mattress, which will offer good levels of comfort and support. 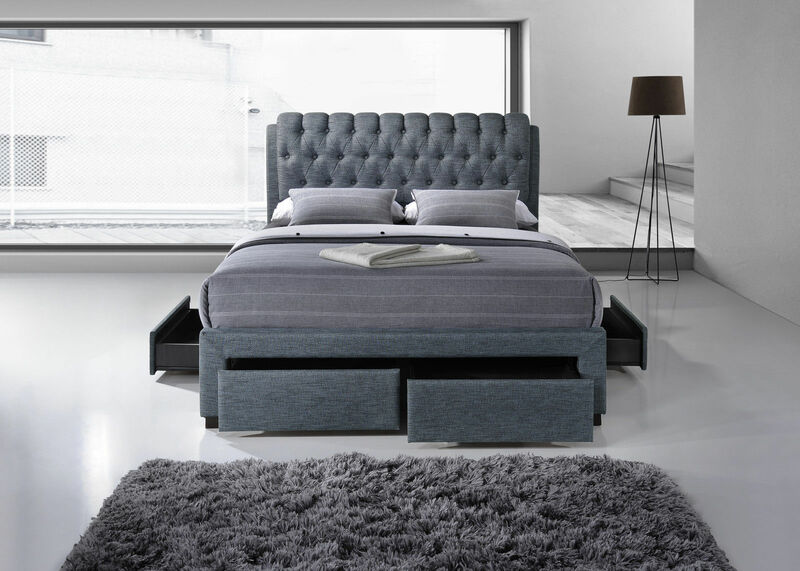 The high tensile open coil sprung mattress is upholstered with layers of super soft polyester fillings and finished in a damask cover. Memory foam mattress- The memory foam mattress is created using a combination of special viscoelastic memory foam and extra supportive reflex foam. Remedy maintains its shape without the need for turning and also features a knitted micro quilted cover which is removable and washable. The ever-popular, modern alternative to the open coil spring system.